In 20th September, 2017, we finished the installation and commission of one set HZSS25 concrete mixing plant in Maldives. 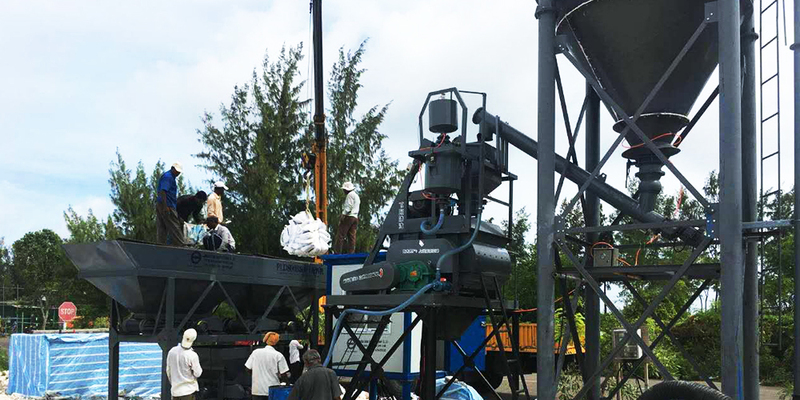 The HZS25 concrete mixing plant equipped with JS500 concrete mixer, double hopper aggregate batcher, cement silo and bag cement pump. Plan was made according to customer special requirement. Discharge 1.5m with trailer pump put under mixer directly, no bulk cement but to make enough supply of the cement, so use bag cement pump to fulfill the cement silo…. If you have the requirement of the concrete mixing plant, welcome to inquiry us, we will make specific design for you.